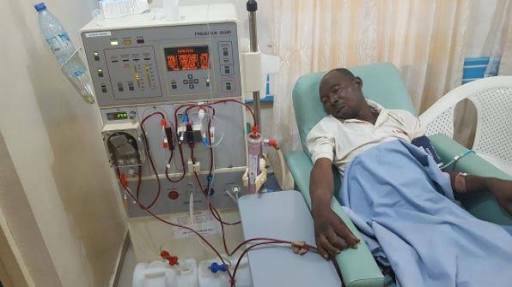 Nollywood actor, Adeshina Adesanya, popularly known as Pastor Ajidara, is down with kidney failure. Adesanya is prominent for his roles in Yoruba movies. His colleagues, Mr Latin and Yomi Fash Lanso, have started a social media campaign to save his life. They have posted messages on Instagram, calling on Nigerians to help Adesanya financially. “Good everyone. Please I’m so sorry to disturb you with this request for I know it’s truly none of your business, but if you find it good in your heart, kindly lend a helping hand. “I don’t do this often, but at times critical issues need quick attention. Just like the man in the picture – a Nigerian film actor – Mr Adeshina Adesanya popularly known as Pastor Ajidara from the film Abela Pupa needs quick attention. “He’s seriously sick with kidney failure and in need of financial aid from ME and YOU. No amount is too small even if it’s #100,” the statement read. Olokun Festival Unveils New Ambassadors. 5, Dead As Tompolo’s Father Buried. * His Alleged Presence A Ruse, Gbaramatu Chief explains. Lagos : Task Force Van Kills Three In Mushin Market.